Beautiful tract of land with nice hill top building site and large creek. 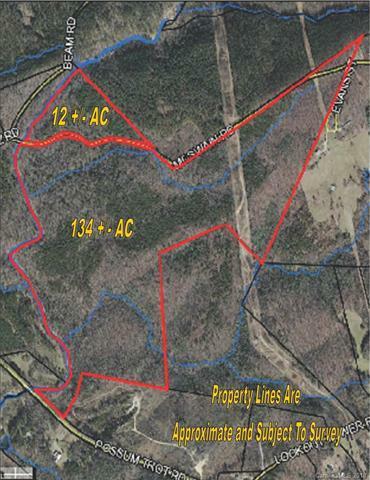 The creek is the entire left property line and the build site is in the center of the property. Very private setting with the sound of the creek running over the rocks can be heard from the build site. Sold by Carolina Farms & Estates, Llc. Offered by Carolina Farms & Estates, Llc. Copyright 2019 Carolina Multiple Listing Services. All rights reserved.